You want music? Pay up! 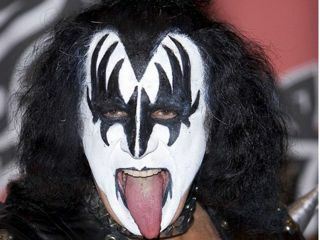 KISS star Gene Simmons insists the legendary rockers will never make another record because music is a dying industry. The band will embark on an extensive European tour later this year -- but the New York-bred Detroit Rock City hitmakers have not released an album since Psycho Circus in 1998. And Simmons is convinced they won't be clomping back to the recording studio as there is simply no money to make in selling discs. Apparently, Simmons hasn't heard Radiohead's latest album -- released on the Internet, for free or whatever price one wanted to pay.